With summer approaching and the weather getting warmer, I wanted to share "pupsicles" with you. 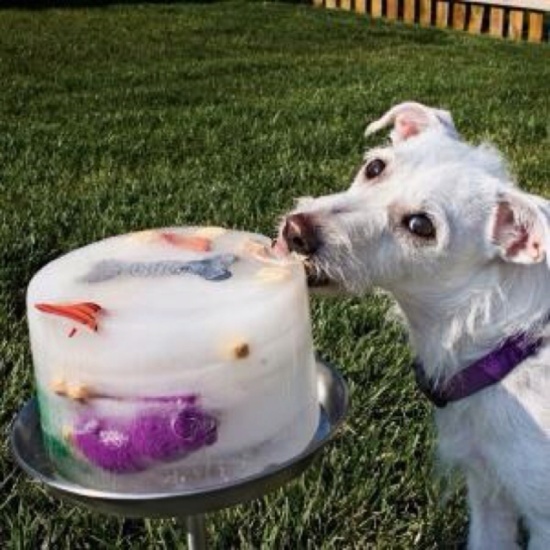 While I've never actually frozen my dog's toys, I love this idea. I'm always looking for things to keep them busy! Kooldogz actually sells a kit to make the large "toy" popsicle, stand included. 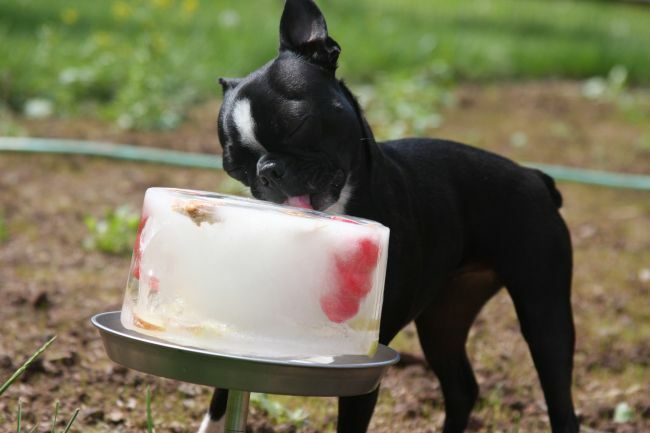 I often make pupsicles as treats by freezing various ingredients in my ice cube trays. I've used canned pumpkin, organic baby food (sweet potatoes, carrots, and peas) and even canned dog food. My dogs love them! Indigo & Lily also love it when I put ice in their water bowl. Something interesting and fun and it really gets them excited and they drink more water.